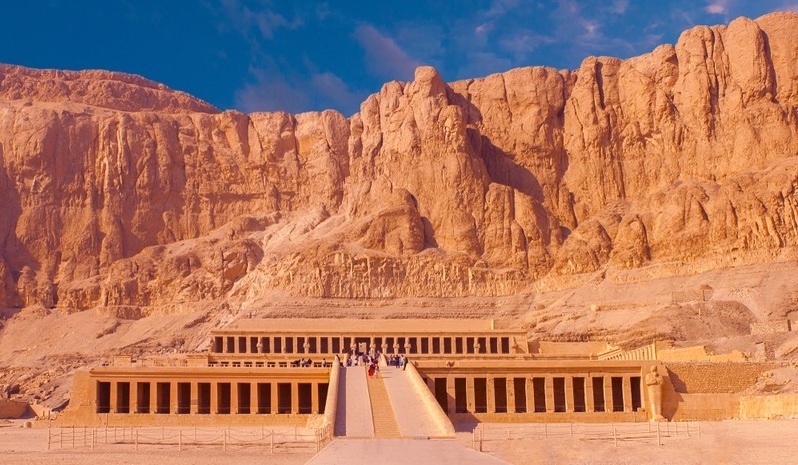 A wonderful 5 Nights / 6 Days in Egypt itinerary to enjoy Cairo, Luxor & Aswan tour package joined by a private Egyptologist tour guide as well as accommodation at 5* hotels to visit Cairo highlights such as the Pyramids, Coptic and Islamic landmarks, the Egyptian Museum, then fly to upper Egypt to visit the ancient temples and tombs in Luxor and Aswan. Book Now! -Tour Location Will Be In Cairo, Luxor & Aswan. -Tour Duration for 6 Days / 5 Nights. -Pickup Point and Drop Point Will be at Cairo Airport. When you arrive in Cairo Airport, you will find our representative and he will assist you through passport control formalities, then transfer you by a private A/C car to check in at 5* hotel in Cairo. Evening time join your private tour guide to enjoy a dinner cruise, then back to the hotel and overnight. Memphis is the ancient Egyptian city, it was the first capital of ancient Egypt during the Old Kingdom and home to the Pyramids of Giza and the Great Sphinx and Saqqara. Finally transfer back to your hotel in Cairo and overnight. Since ancient times, Egyptians have realized the importance of the Nile River, they built dams and reservoirs to store the Nile water at the time of the flood to be used later when the water level of the Nile fell, but the annual storage issue was not a radical solution, the quantities of water supplied by the Nile vary from year to year which necessitated the construction of a giant dam to store the flood water and to be used in years of low water level in the Nile River. Afterward, enjoy a delicious lunch at an oriental food restaurant, then, your tour guide will take you to check in at 5* hotel in Aswan for overnight. The temple of Karnak is one of the greatest temples built in ancient Egypt and is the largest house of worship in the world. Afterward, transfer with your tour guide to check in 5* hotel in Luxor and overnight. Where you can see a rare collection of artifacts that date back to 5000 years and Over 250,000 genuine monuments are presented, the Egyptian Museum also contains the most important artifacts that reflect the splendor of ancient Egyptian civilization. One of the wonderful places in Cairo it's a medieval-style mall, It has the finest silverware that you will find only in Khan El Khalili, Leather and copper products, some people attend the Khan to buy clothes and accessories that show in historical works such as swords, copper helmets, and belts. Afterward, our tour guide will take you to your hotel in Cairo and overnight. Enjoy your breakfast at the hotel before the tour leader transfer you to the airport to finish your Cairo, Luxor, & Aswan tour package and finalize departure formalities and fly back home. Note: If you didn't find what you are looking for, then check our Nile cruises or Egypt tour packages to choose your dream tour. Assistance of our personnel during your stay and excursions. 3 Nights hotel accommodation in Cairo on bed and breakfast . 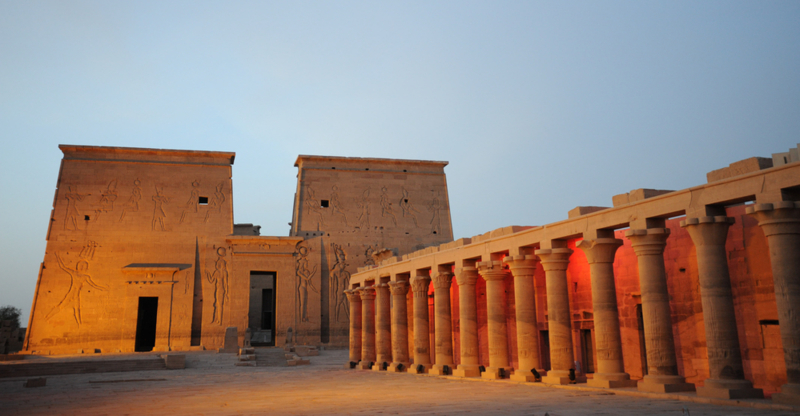 All transfers in Cairo, Aswan and Luxor by a private A.C. Car. Train ticket from Aswan to Luxor.